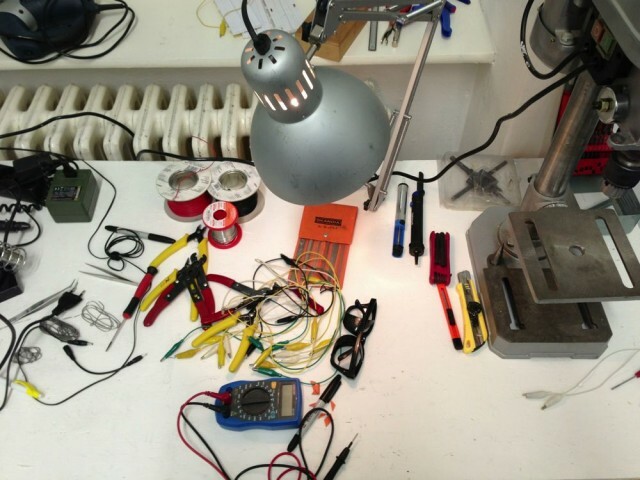 Hacklab 2013: People soldered, people sewed. 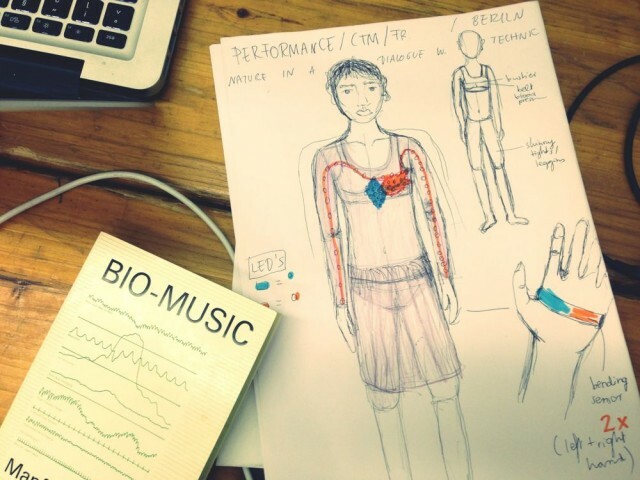 Hacklab 2013: Bio-music, by Manford Eaton. Wearable interface by Monika G. Dorniak (who was also behind the recent WCOMTC). And the multi-dimensional EPhysMus system, by Ove Holmqvist. Inventing technological hacks in short time is one thing. At CTM Festival in Berlin, we want to push collaborative participants to go further. First, invent the technology for performance. Then, invent the performance – and be ready to perform publicly – and it do it all in just one week. It’s time again to join a MusicMakers Hacklab. Last year was the first week-long event hosted with CDM, and the first at CTM Festival. CTM makes a perfect venue, a brilliant and packed showcase for adventurous sound (and in parallel with another digital media fest, Transmediale, in the same city at the same time). musicmakers hacklab short from CDM on Vimeo. This year, co-facilitated with sound artist Darsha Hewitt, we’ll not only set up collaborations but also present finished performances. At Berlin’s renowned HAU2 in the heart of the Kreuzberg neighborhood, Hacklabbers will get a chance to show finished work on the last day of CTM. If you can get yourself to Berlin at the end of January, you can apply now to be involved for free. I’d love to see you there. And there will be chances to learn new skills. Andrey Smirnov, a top expert on early experimental music, is in town from Moscow and curating an exhibition at CTM demonstrating the pioneering efforts of Russia’s early avant-garde I will also present a live A/V work with choreographer Mirjam Sögner, inspired by Leon Theremin’s experiments with dance, and share some of our techniques and technologies. With Andrey, myself, and Darsha, we’ll be able to give participants a chance to try new technologies for interaction. The hacklab is free, but space is limited. What we’re not looking for is completed works, or even finished ideas. What we are looking for is a mix of people who can make something together. We want to know who you are, what you might like to do, and with what sort of people you might want to work. The reward: a unique chance to come together with other people from around Europe, be exposed to a week of new ideas and new performances, working by day and soaking up music and performance at night, having your work presented on CDM and in live performance at CTM Festival, and a chance for a free pass to CTM.